I would prefer a stiffer collar, possible with an interlining and collar stay slots. Again, a stiffer collar with interlinging. Pretty good for the price. I actually wear detachable collared shirts with suits (call me excentric). I would pay more for a better quality of cloth. Came on time and in great shape. The only thing i would recommend is to oil this leather. The pair i received was manufactured in 1972 and needed some neatsfoot oil badly. Once oiled they where in factory new condition. Couldn't be happier. Quality 2nd to none. Top drawer vest. Keeps me Scottish heritage alive. they're a little loose on, what i would consider, more than average-sized arms... but they were well received as a gift and have garnered many compliments. Compass is as advertised. The needle flipped to the side but I took off the dial portion and righted it. Now it floats like it is sepose to. It will be a nice addition to my explorer steampunk outfit. Although the color wasn't as blue as the picture made it seem, I have no complaints. This vest looks fancy, feels fancy, and is one of the best purchases I've made from this site. To be perfectly honest, my purchase of this item was to have a laugh with a friend. I was happy that he saw the funny side... The item: Well, it turned-up inside of a week of my order in a box. What more can I tell you? It was as described...We do have a little bit of consternation regarding this product...It is UV protected...Which is obviously very important if you are a cyclops or Black-Beard the pirate! (He wears a patch over one eye)... It is a theatrical prop, has absolutely no magnification but is UV rated! I also purchased a walking cane. It is also a prop and has a compass intergrated in the handle. It is a gimic, I am not likely to be embarking upon any expedition in the near future and therefore the compass will not be put to any test...But, If YOU are embarking on an expedition might I suggest you buy a purpose built sat-nav then you won't look an utter berk when you are trying to sue the company for your own stupidity?! I love this watch! I thought the chain was a little too delicate for the heft and size of the watch. I was planning on giving it a custom chain anyway so I didn't care. Very reasonable price! These arrived in a timely fashion. They were as described. I used some leather cleaner on them and they look pratcially brand new now. Very pleased with them. Perfect with the Tombstone shirt. Very serious seller. Fast and serious seller. Don't forget to buy a Tie Tack with this. It really looks like a diamond ! Nice quality for this shirt made in USA and not in china ;) You can wear it daily because it's so sweet. Serious and fast international seller as usually. I've had alot of fun with the goggles since purchasing them. I took them with me to visit my grandchildren and they both wore them. My grandson put them on in a resturant and wore them the whole meal. Several people stop and made coments about how cool he looked. Alot of fun thank you. I haven't problems with them an they fit well. This is a beautiful waistcoat. The color and pattern are really lovely, detailed and colorful without being too 'in your face'. The workmanship was also top-notch. Very pleased! This really set off my fellow's outfit perfectly. These are really great pants. They have just the right amount of style without giving up durability (or vice-versa). They are a nice heavy-weight fabric with a fine stripe that is really sharp. They are well built as well. I did follow the suggestions and bought one size larger, and it worked out perfectly. This shirt is very nice. It has a rounded-corner collar that works worn up with a cravat or folded down with a regular tie, which is really great. The fabric is soft, and the workmanship very good. I highly recommend! Great pants; very comfortable, great looking, and they seem pretty durable, too. This is good quality stuff. I don't know whether the fabric is technically denim, but it sure has that comfortable "broken in denim" feel to it. I took the advice of buying one size up from the *actual* waist size of regular pants that fit me (from the actual size, not from the indicated size; sadly, these are not always the same), and the fit is excellent. Note that the pockets take a bit of getting used to, because their tops sit slightly higher up on these pants than on my modern-cut pants, but I'll get used to this. Also, I'll echo a comment I read on one of the other styles of pants sold at this site - lefties like me should be aware that there is only one rear pocket, and it is on the right side. The dye in the pair I bought leave them looking faded or washed instead of jet black as the leather itself is brown. This is not an issue, I think it adds to the overall look of the product. They fit really well and do look rather dapper. My only issue isn't with the product but with the lack of decent boots to wear them with. I currently only have a pair of "work" boots that have more of a rounded front. This type of boot definitely does not look good with these gaiters. I would recommend buying a good pair of boots with a pointed front, much like what you see in the photo, if you don't already own some. SO, as for the product itself, I am fully satisfied. They come up about mid-calf when wearing them so keep that in mind when you go to purchase. I have no issues with this product and they ARE made really well. Buy with confidence! They shipped out quickly also. I had them within just a few days after purchase. Enjoy!!! Comfortable, classic, versatile, and well made. They fit well right out of the box. I added some gel arch supports, but they felt great already without them. I'd been looking for these boots for years. Several brands play with this classic style, but muck it up with zippers and other tweaks that ultimately detract. These are like a Griswold cast iron skillet or a GreTscH archtop guitar. A perfect marriage of function and form that will never go out of style. If the brown were darker, I'd order a pair of them as well. I have one of these vests and I like the way it looks. When I first tried to order one they were out of stock. I kept checking back and finally there was more available. I got mine and noticed that it had damage to one pocket lining. I then went back to your site and noticed that again they were out of stock. This makes me believe I was sold a previously returned defective piece. The tag on my vest read "only 500 made limited edition", so I'm keeping it but I'm not 100% satisfied. If you had more available I would certainly return it for an exchange. As soon as I got this vest two of the buttons came off. I had to sew all the buttons more securely. I'm lucky I didn't loose any of the buttons. Heavy duty leather and just how they were described. On one gaiter the bottom strap was sewn on upside down, not a real problem because no one will see it under the shoe. Excellent quality and easily adjustable. Look great with my outfit. I was surprised to find that these mustaches are real human hair. Good quality! I love this watch and everyone wants to see it. So Cool! Thanks! I was very pleased with the cotton twill walking skirt I ordered. It was well made and the waist fit perfectly. My only complaint was the length....way too long. I'll have to cut quite a bit off and re-hem it. It would be nice if Historical Emporium could have some of their clothing come in Petite lengths also. I bought this awesome looking velvet tailcoat, and was so dissapointed when it arrived and did not fit. I was pleased, however, by the prompt, courteous return service. I now have a coat that fits me like a glove and sparks up any outfit I add it to. I will be back for more! At 6'5" a full length coat is tough to find. One as good as this is even harder to find. It is perfect. My wife loves it! Looks more beige when worn. Goes with many colors of tops and a great quality. Oh, lots of comments too! Very nice, fits perfect, can't wait to wear it to the Ball. Very nice goes with the Vienna Tailcoat well. I wish they were at least as good of quality as wallmart or drugstore shades. Kinda pricey, but I bought them knowing they were cheap, So all is well. This was a test purchase. I love how everything "looks" on this website, but I wasn't sure how it would actually look in person. So . . . I orderd this vest. When it arrived I was VERY happy to find that this a QUALITY piece of clothing, and practical. The wool is nice and warm and hugs the torso wonderfully. I wear it alot. I am also now very comfortable ordering from this great store. Nice watch, good weight, and pretty. Unfortunately, it did not work. I wound it and it would work for a few minutes . . . then stop. This is how it went for a few days so I immediately returned. I was VERY pleased when I received an email from customer service letting me know that my return was received. I was even more pleased when I received a personal email from customer service telling me that they read the note I left regarding why I returned the watch, were very sorry for the inconvenience, and were going to comp my return shipping fees. The price of the watch plus what I paid to return it appeared back in my account a lot quicker than I expected. Customer service also invited me to contact them in the future if I had a similar problem with a product so that they could help me avoid any out of pocket expenses. Very nice. I must say that I also ordered three vests and a frock coat, all of which are great and fit wonderfully. I really like this store. My husband enjoys this loupe. He is a small item antique collector and the light is very helpful when looking at the antiques. We love the ascot. It will be beautiful with the Fairmont vest. I have purchased 5 holsters in the last year from Western Emporium. I ordered the plain brown Holster and belt first, and was so impressed with the quality and price I ordered two for my Brother for Christmas, and shortly after another tooled, black long barrel holster, and crossdraw holster for myself. I would recommend these products to anyone without thinking twice!!! Looks good and very good service. Appears that the seam on the left leg was not cut on the bias which makes the seam start to wrap around the leg. very good quality my 45 colt fit in perfect it is hard to believe you can buy leather this good at such a low price . i was very pleased and will buy another one soon. After receiving the Antique Gold Pocket Watch in record time I was pleased from the start, only to become even happier once i opened the package to find the watch inside in a nice pouch with an extra battery. Right away i noticed that the watch looked amazing, even better than it did in the picture. It is great for casual attire, such as a pair of good old levis a nice flannel and a pair of brown boots with matching brown belt, not to say other outfits wont work, it really fits with any outfits containing earth tones. its classy without being too classy. nice classic old time look that you can take any ware. the performance of the watch is great so far. the quartz factor is great for daily use, no fear of over winding, which makes it great for first time pocket watch owners. it is personally my third pocket watch and not having to wind it like my other two makes it far less stressful. I have now had the watch for about a month and it is still perfectly in sync with my cell phone and clock radio. I cannot say enough how happy i am with this watch. As I type this review I see the watch is currently SOLD OUT but if you are at all interested, keep an eye on it, because the second it is back in stock buy it. It is worth the price, which by the way is unbeatable. THIS SCABBARD WILL MAKE ONE VERY HAPPY GRANDSON, THIS I CAN ASSURE YOU OF ! THE WORKMANSHIP ON THIS SCABBARD IS EXCELLENT....YOU HAD THIS IN STOCK AND THE DELIVERY TIME WAS EXCELLENT A 5 STAR RATING BEYOND A DOUBT ! If your looking for a reasonably priced USA made hat, this one is great. The closest comparison I came across was more that twice the price. I am totally satisfied with this item. Excellent quality, lives upto the description in the advert. The products available from Gentlemen's Emporium are always of the highest qualty! It was pretty damn sweet. You folks are bringing style back to clothing. The products I purchased were of excellent quality and just how they were described. The shipping was reasonable priced and came in a reasonable time. Not a 10 only because I don't have that many friends that share this aesthetic. Otherwise...10. Customer service is excellent, items arrived as described and in a timely manner! The Historical Emporium, and more specifically the Gentleman's Emporium, is the store that I have been searching for! Finally, a shop that caters to the victorian Gentleman of modern day, without sacrificing quality by getting simple and low-grade theatre attire. The Emporium allows me to stock my wardrobe with the fancy clothing pieces of that wonderful era that I wish I could have personally inhabited. I have already recommended this shop to a multitude of friends and family, and I will continue to do so in the future. The descriptions and explanations contained within the item pages leave nothing to question, and the selection and quality of the items available is top-notch. I cannot praise the Emporium enough, I truly and sincerely mean that. Keep up the amazing work, and I will, without doubt or question, continue to shop here for the rest of my life. Excellent service. Very satisfied with the item ordered. You have a great selection at great prices and excellent service. I plan on making future purchases. order was shipped quickly, & merchandise arrived in excelent condition. Speedy delivery; all items I have purchased are of very high quality. I had to return one item (my fault, not theirs) and I received the refund very quickly. It has a great selection. Everything I was looking for. Fantastic service! Great attention on returns. Great price & quality range. I Am a customer for life! The quality of wool used in the Burford vest - Gray Wool Tweed leaves a lot to be desired. The image on your site looks as if a much fine materal was used for the photo. So, yes I'm very dissappinted. Everything arrived as ordered and is of good quality. These are not dollar store items, they are proper quality. Offer a broad range of traditional garments of a hight standard. Excellent service and help, very good quality garments ! Great products, stylishly presented. One thing I noticed: On steampunkemporium.com, the Joliegh de Fille outfit is labeled differently from all the others; her name comes AFTER her profession, not the other way 'round. Not trying to nitpick -- just thought you'd want to know. Thanks! The 2 jewelry pieces I purchases were reasonably priced and really unique. LOTS of people notice my jewelry and love it! Service was prompt and the shirts were exactly what I was looking for when they arrived. competely satisfied to have found a honest and reliable outlet. Website is easy to order from. Shipping time was satisfactory. Appreciate having a tracking number for item ordered. i am verry pleased with my purchase but the waistcoat was wrong sise & can not afford to send it back. carrys a wide varity & everything fit perfectly, including the shoes. All items were of very good quality. I've only bought one product so far but I am fully satisfied. The condition of said product more than met my expectations and shipping was super-quick! Very surprised how well everything fit. Holy frieken YE-YEAH! I found that the various merchandise purchased, most appealing. Hurumph! I was very pleased at the quality of the items and the quick delivery process as well as the affordable prices. I really like the selection of western wear and the frontier wear you guys offer, which by the way, you can't find anywhere else and have been pleased with the quality and the fit of everything I've ordered. The pants are great and the suspenders were perfect. Thanks again. 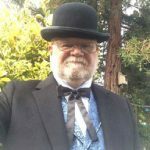 I am very satisfied with the price and quality of the vest and shirt I ordered from the Historical Emporium. I receiv numerous compliments on the clothing whenever I wear them. Everything went very well and the shipping was organised very promptly. Many thanks. Good service, as promised, at a fair price. That is all anyone wants. Super easy and fun to find what I was looking for. Was very convenient that you are located in San Jose near my home. Great articles of clothing to portray Dr. Watson in Gaslights Enid Oklahoma's Dinner Theatre production of Sherlock Holmes and the case of the Jersey Lily. Will be fun! The material and goods are very nice quality, the only reason I give an -8 instead of a 10 is that I had a return / exchange of items and got charged a fee plus additional shipping. Wasn't real happy about that. But the quality of the clothes is excellent. Very happy with my purchases! The frock coat arrived quickly and fit my husband perfectly. Looks great, a real quality piece of clothing. The pocket sundial I ordered was exactly what I expected. I was very pleased with my order. The description was very accurate. This is a wonderful store. I have shopped here many times and plan to do so again in the future. I think the style of clothes is very appealing. The product was just ad advertized. I recently ordered a gun belt from Historical Emporium. Through negligence on my part, I ordered the wrong size and reordered. The service was excellent. I received the new order in good shape and during the whole process was kept informed through e-mails of the shipping status of my order. EXCELLENT SERVICE. THANKS!!! Quick delivery with no mistakes. Historical emporium has been a great resource for the costuming of our TV show. Overall ordering from Historical emporium has been a positive experience. My only concern was that there were very low stock levels in many of my first choices and I had to cut my order back. that being said, I start my search here first. quick delivery - products matched images on website. I have already recommended your website to many of my friends. HISTORICAL EMPORIUM RATES 10 IN MY ESTIMATION!